This is a guide for Health Care Professionals (HCPs) who have never tweeted before and wish to start tweeting in a professional capacity. As with any journey in health you need to start as a student; follow these simple steps and you will soon be ready to progress to “Graduate Tweeter”. 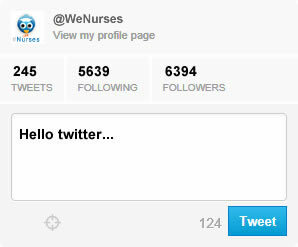 Twitter is a great way to keep updated on health issues and to get involved in the health community. Twitter can be used to help with CPD requirements and is a useful tool to allow healthcare professionals to share thoughts, ideas and experience. It is important that before you even start to use twitter in a professional capacity that you read your professional body’s social media guidance and your workplace social media policy. When you register use an email address that you have regular easy access to, twitter will send you emails to indicate when you are followed, mentioned or sent a message by a twitter friend. 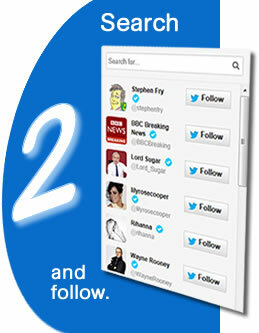 You'll be asked to chose a twitter name, use your name and or keep it punchy. Twitter will suggest some followers for you, but twitter doesn't know you yet, so the suggestions are pretty mainstream, as twitter gets to know you it will recommend better suggestions for you! 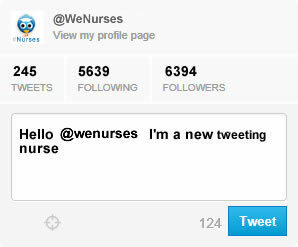 We have made some suggestions in our tips to introduce you to nurse related tweeters. 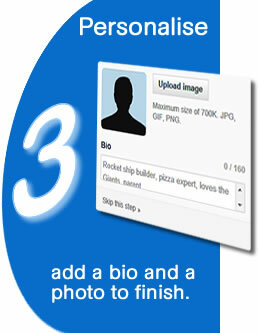 Your picture is quite important, it quickly identifies you amongst lots of other tweeters. Also think carefully about your bio, think about adding your professional & personal interests, who you are looking to tweet and links to more information about you or your work. This is a simple tweet, anybody who follows you will see this tweet in their twitter timeline. You are limited to 140 characters in every tweet, you can tweet links, photos and other media too, you'll soon pick it up! 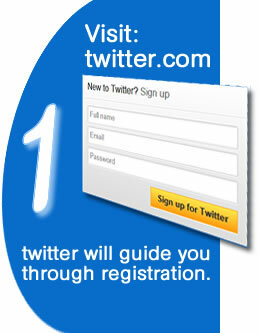 If you want a specific person to be notified of the tweet then "at" or @ them by adding their twitter name to our tweet. Depending on their settings they may get an email notification and turn up in their "mentions" timeline. You can also add a hash tag to your tweet. 5. Listen to others – remember that communicating on Twitter is the same as in real life and listening is a major part of that. Listen to what others are tweeting about and respond or help. 6. Be polite and kind – Twitter is a very old fashioned environment with old fashioned social values, remember your pleases and thank yous. Have you benefited from these guides? 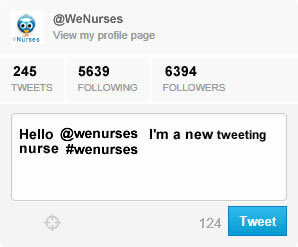 Would you like us to take your colleagues through WeNurse's Twitterversity as a workshop? Find out more here.